Richard Cavendish describes the launch of the Second Crusade on May 19th, 1147. The departure of over ten thousand crusaders from the port of Dartmouth in May 1147 in a fleet of over 150 ships marked a second-stage initiative to continue the momentum and success of the First Crusade, which against the odds had captured Jerusalem and carved out crusader kingdoms in the Holy Land. Maintaining those outposts against Muslim reaction, with a relatively small occupying power and attenuated supply routes, was never going to be easy. The capture of the Frankish stronghold of Edessa by the Muslim ruler Zengi and the deaths of the capable Byzantine emperor, John Comnenus, and Fulk of Anjou, the king of Jerusalem, left the Christian position in the Holy Land by the 1140s dangerously exposed. The launch of the Second Crusade was therefore designed to shore it up, and initially the omens were good. Active support and involvement came from the highest level: the king of France, Louis VII, pledged his personal participation, as did the Holy Roman Emperor, Conrad Ill, with his German contingents. 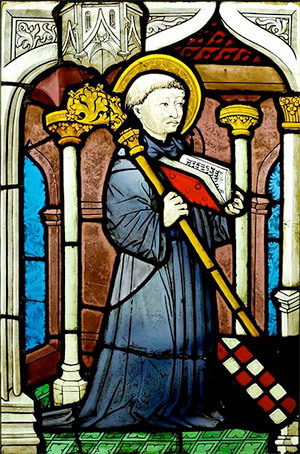 Propaganda and ecclesiastical backing was provided by the pope, Eugenius III, and the preaching of St Bernard of Clairvaux, one of the most charismatic figures of the age. But from the outset there were dangerous disagreements about strategy and objectives. Partly these reflected genuine military differences of opinion, but they were also underlaid by ulterior individual motives and hidden agendas. The new Byzantine emperor, Manuel Comnenus, was insistent that all crusader conquests should be made in his name, and this did nothing to mitigate the traditional mistrust between Eastern and Western Christians. His proposal that the crusaders should take an overland route via Hungary, thus dependent on Byzantine logistics and transport, to the Holy Land, was backed by the French and Germans but opposed by the Norman ruler of Sicily, who wanted to use a sea route that would enhance his own maritime involvement coming via Genoa - and perhaps act to the detriment of his Byzantine rival. The Second Crusade therefore got going with divided routes and objectives. The contingent that set forth by sea was largely composed of English crusaders and those from the Low Countries. On the way they were sidetracked, but at least to purposes that fitted in with the overall Crusade objectives: they responded to an appeal for help from the Portuguese Christian king Alfonso, who was attempting to dislodge the Moors from their occupation of Lisbon. The arrival of the crusaders in Portugal helped turn the tide and on October 25th its capture by a combined crusader-Portuguese force was a crucial stage in establishing Portugal's independence (and in setting off England's long and amicable association with the country). This element of the Second Crusade eventually joined up with those who had taken the land route via Asia Minor but by the time they did, significant reverses had already taken place. The German forces under Conrad had been harried throughout the autumn of 1147 by the Seljuk Turks and eventually were heavily defeated in battle at Dorylaeum. The few remnants of Conrad's force retreated to Nicaea, where the French had now arrived, but the failure of the crusaders to establish secure winter quarters or to learn from the tactics of the First Crusade led them into a horrendous winter march to Antioch where cold, starvation and ambush took a heavy toll. Reinforcements from France in June 1148 encouraged the crusaders to a degree of hubris: it was decided to by-pass the recovery of Edessa - the original impetus for the Crusade - in favour of an attack on Damascus, which was both much better-fortified and at the time was at peace with the Latin Kingdom of Jerusalem. The effect of the crusade initiative was to cement pan-Muslim unity and the abortive siege of Damascus - it lasted less than a week - effectively marked the disintegration of the Second Crusade. The crusader forces broke up amid mutual rancour and recrimination. Conrad went to Constantinople - where he allied himself with the Byzantine emperor; Louis VII returned to France via Sicily, where he concluded a pact with the Norman king, Roger II, against his German and Byzantine rivals. Far, therefore, from succouring the Christian position in the Holy Land, the Second Crusade demonstrated all the weaknesses of a divided Christendom - and the stage was set for the recovery of nearly all of the Christian lands in Palestine by the revitalised Muslims, which in turn sparked off the Third Crusade, with its epic struggle between Richard the Lionheart and Saladin. Its only positive by-product was the success of Christian arms in Portugal - a reminder that the crusade instinct was targeted towards rolling back the influence of Islam and paganism all over Europe and the Near East, and not just in the Holy Land.